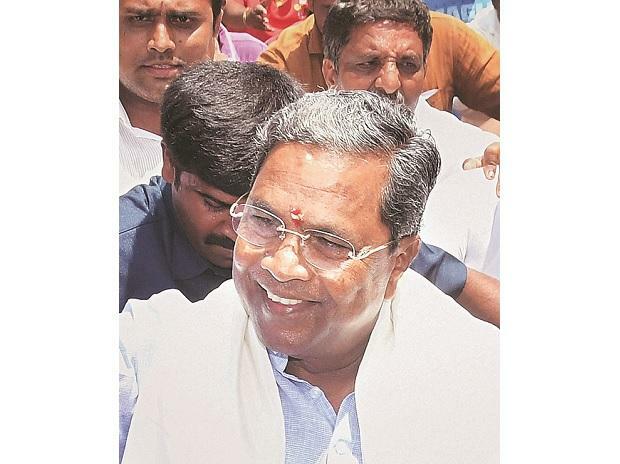 Former Karnataka chief minister Siddaramaiah landed in a controversy Monday when he engaged in a wordy duel with a woman and snatched the microphone from her, dislodging her dupatta in the process at an event in Varuna in Mysuru. The woman tapped the table to buttress her point, further enraging Siddaramaiah who shouted at her and forcibly asked her to sit. Condemning Siddaramaiah for losing cool, BJP state president B S Yeddyurappa said, "The aggrieved woman is from Congress. She is complaining that the MLA is not available." "Instead of addressing her grievance persuasively, Siddaramaiah displayed his anger by snatching the microphone from her and shouting at her.